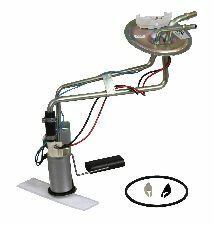 Showing 1 - 10 of 44 Products for Fuel Pump and Sender Assembly. 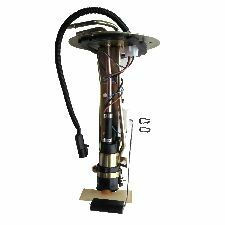 External Strainer Delphi is an OEM supplier Fuel tank contamination is the leading cause of premature fuel pump failure. 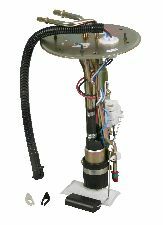 To reduce risk of contaminating the replacement pump, Delphi recommends cleaning the fuel tank before installing a new pump. Use of fuel tank cleaning kit FC01 is recommended. w/19 Gal. 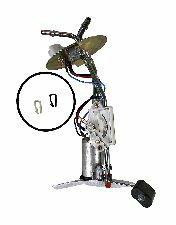 Center Tank; Includes Fuel Pump, Sending Unit, Float, Fuel Strainer and Tank Seal Two fuel pumps may be required, one mounted in-tank and one mounted externally. 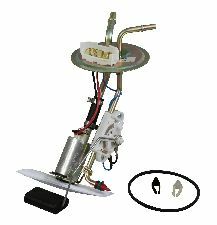 w/Rear Steel Tank; Includes Fuel Pump, Sending Unit, Float, Fuel Strainer and Tank Seal Two fuel pumps may be required, one mounted in-tank and one mounted externally. w/17 Gal. 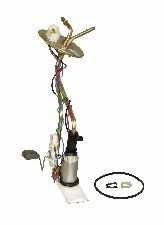 Center Tank; Includes Fuel Pump, Sending Unit, Float, Fuel Strainer and Tank Seal Two fuel pumps may be required, one mounted in-tank and one mounted externally.